The flaws and weathering on the diabutsu become apparent a you approach it. The statue has sat outside and gained character for around 600 years. 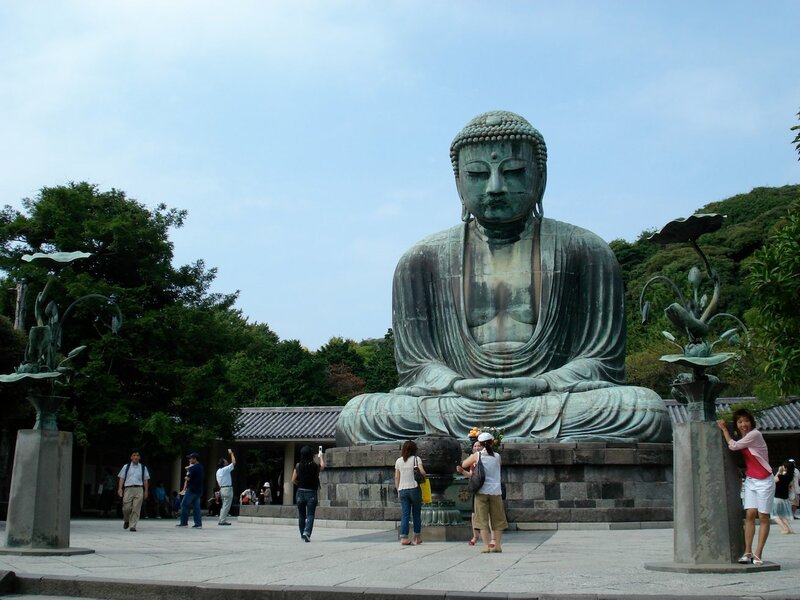 Beyond appreciating the daibutsu, there is not much additional to do or see here. The extra fee to have a look inside is not worth it, but, having come all the way here, you'll find it hard to resist paying. The last major repairs were done in 1959. Repairs are planned to take place from January to March in 2016. Visitors will be unable to view the statue during this time. Hase-dera (長谷寺), an 8th centuary temple complex, is worth a look as well. 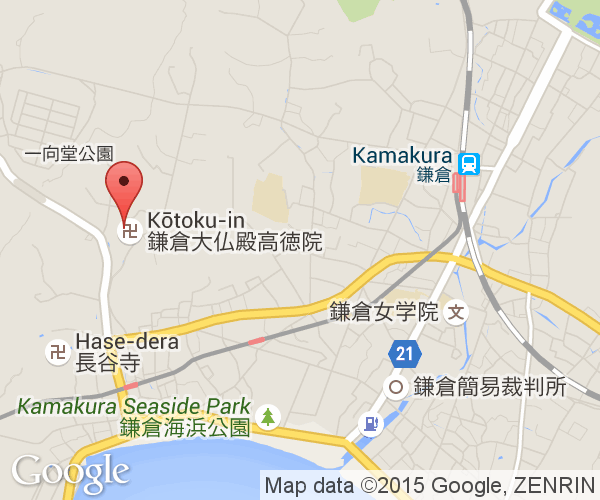 It is located nearer to Hase Station. The date Kotoku-in Temple was established is unknown. 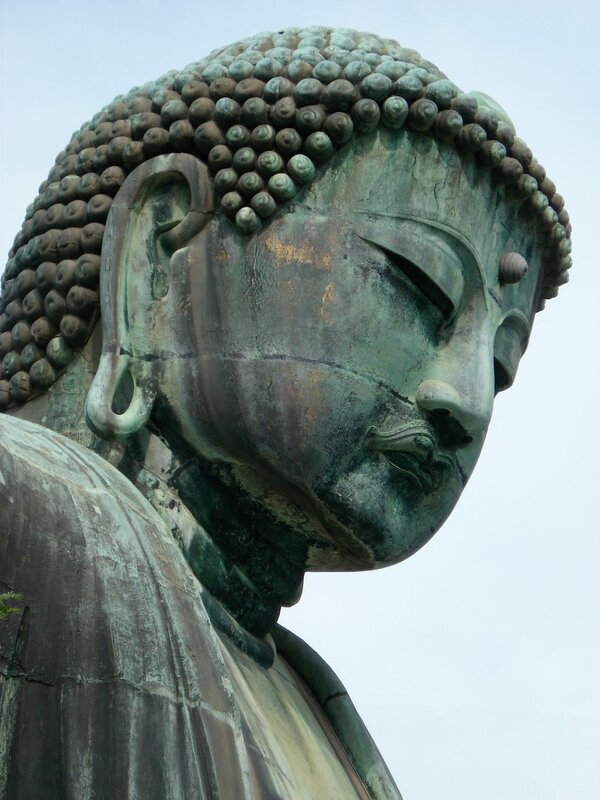 In fact, many details about the statue and temple are unknown or poorly corroborated. 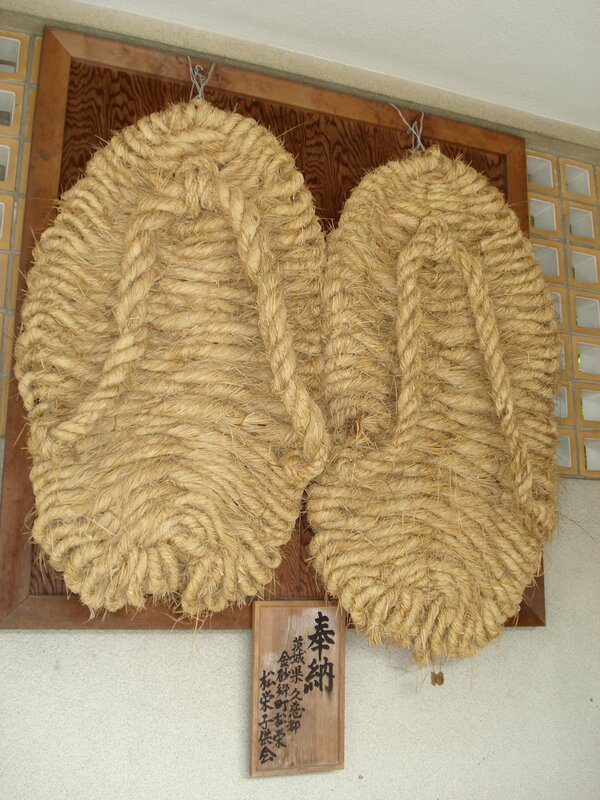 There is a record that construction of a diabutsu began in 1238 and lasted 5 years. Another record from 1242 indicates that a diabutsu of wood stood in a 2/3 complete hall. In 1252, it appears a metal diabutsu was being constructed. Its relationship to the wooden one is not entirely clear. One theory it the wood one was a prototype model for the bronze one. No record of its completion or really much that can be linked definitively to its construction really exists. 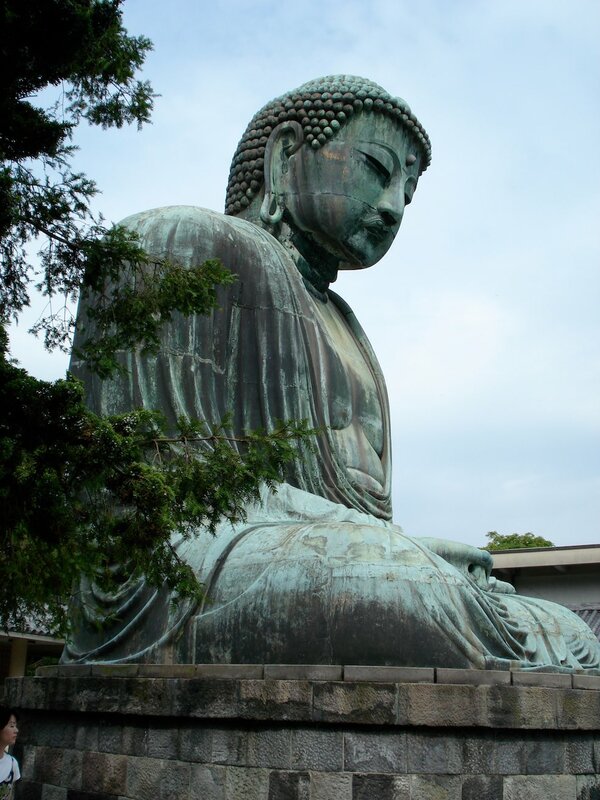 Thus, we are left to assume that the statue that was being constructed in 1252 (and likely completed around that year) is what stands at Kotoku-in Temple today. 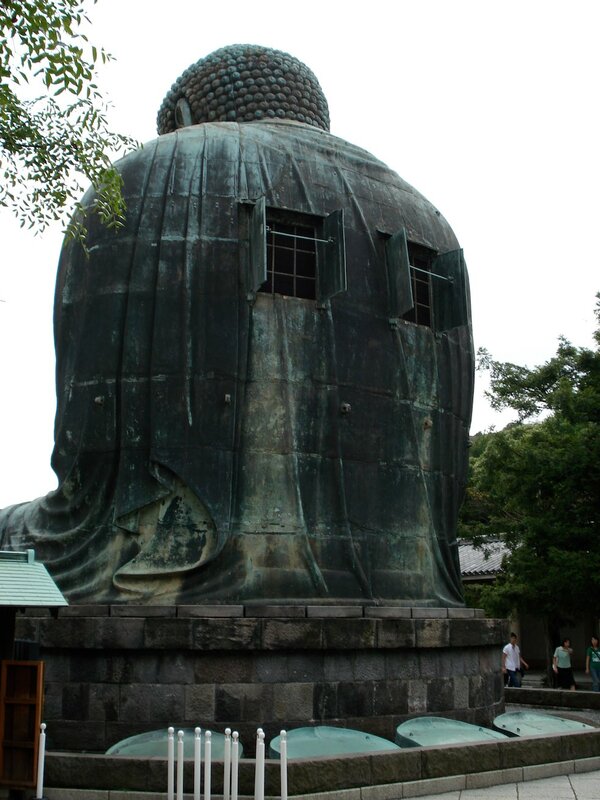 It was originally covered in gold leaf and enshrined in its own hall like the Nara Daibutsu. A typhoon blew the building over in 1334 and the rebuilt building was heavily damaged by storm in 1369. Records and excavations confirm that it was rebuilt once again at that time. The date of the final collapse of the building and abandonment of trying to house it is a subject of debate. A record says a tsunami washed it away in 1495. However, another record states the statue was sitting outside in 1486. It is possible that it collapsed and was rebuilt an additional time, but no physical evidence has been found to support that. Analysis of the metal revealed that is a made from a bronze (copper, tin and lead) with a high lead ratio. A guess is that the metal came from China. Its head is oversized to compensate for the distance from the viewer. 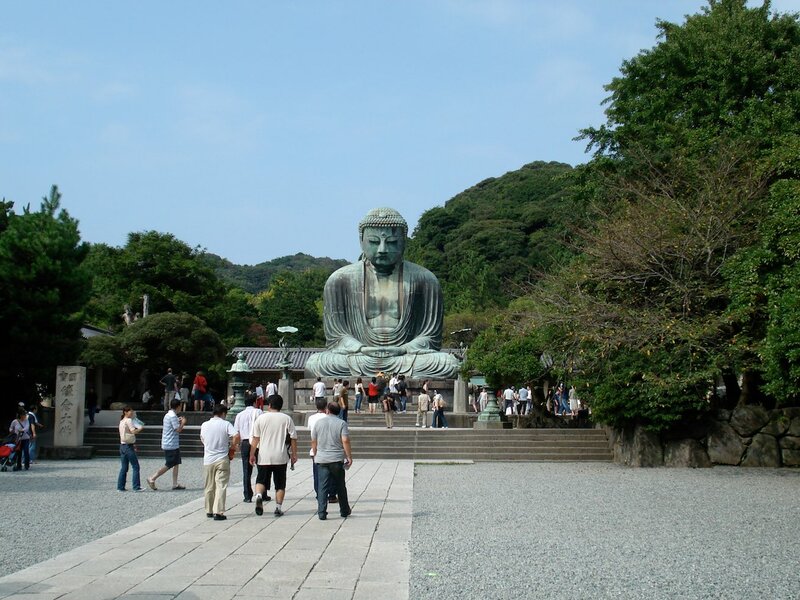 The Kamakura Daibutsu is west of JR Kamakura Station. This station is on the Yokosuka Line. This line originates at JR Tokyo and follows the Tōkaidō Main Line past Shinagawa and Yokohama. From JR Kamakura Station, there are local buses that go past it or it is a 10 minute walk north of Hase Station on the Enoshima Dentetsu (Enoden) Line. This small local line begins at JR Kamakura Station.